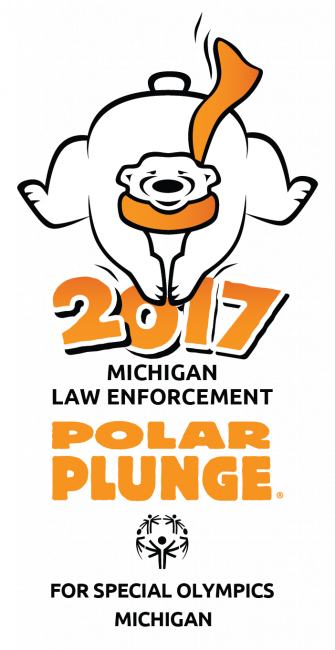 I am glad that say that for the third year running APR will be sponsoring the Special Olympics of Michigan Polar Plunge. This year we will have a team of six employees taking the plunge at Sylvan Lake. The Special Olympics will always hold a special place in my heart. When was in high school, one of swim teammates had a disability. He came to every practice and worked as hard as anyone else, all he wanted was to be on the team. He was an inspiration. FYI – For anyone who saw the article on CNN about the new health craze of exposing yourself to temperatures of -220 F and are wondering if Sylvan Lake will be that cold when we plunge, it will not be! The fourth Saturday of October witnessed national ‘Make a Difference Day. ‘What did you do to make a difference in your community? Did you, volunteer at a soup kitchen, tutor a student, volunteer at a nursing home or hospital? This year, I was lucky enough to have two projects. The first was Scots in Service Day and the second was in giving a helping hand at the United Way’s Southwest Solutions early learning center. Everyone who knows me knows that I went to the College of Wooster, GO SCOTS. Each and every year, we Scots, come together, across the world, and give back to our communities. This year, Wooster Detroit community worked with Kensington Metro Park. Anyone who lives in the metro Detroit region, and hasn’t already, should make it out to the park, it’s a beautiful place to visit. This year we helped the park by removing some invasive trees. After we were done, we fed some birds; one even perched on the edge of my hand to eat some seeds. Southwest Solution is an early learning center located in the heart of Detroit. They focus on empowering parents with young children, ages that range from birth to five. The center also provides free early learning to children, in one most impoverished location in the country. The biggest surprise to me was that the signs were bilingual and that 80% of the families they service are Spanish speaking. We helped Southwest solution by building an outdoor shed on their playground. Overall, it felt good to get my hands dirty and help two great organizations. I hope everyone else made a difference too. I would like to say thank you to Jeff Spurgess for giving me tickets to the Joe Kocur Charity Softball game. It was great to see one of my favorite Red Wings, Darren McCarty, out there playing. It seems that the older I get the less I follow sports. However, when I was younger I was a big fan of the Detroit Red Wings. I would watch all of their games and followed the team when they won the Presidents Cup in 1996 only to lose to Colorado in the finals. Also, I followed the team when they won the Stanley Cup over the Flyers in 1997. The most exciting part of the charity softball game was seeing the Red Wings, Darren McCarty in a kilt. It reminded of me of my kilt days at The College of Wooster (see picture). Again, Jeff thanks for the tickets. I had a lot of fun. Despite this weekend’s 20-year-old record snow fall and record lows…Burr, American Profit Recovery employees and their families will be taking the plunge for the Special Olympics for the second year in a row! I am glad that we are making this an annual event, as I have been an active supporter of the Special Olympics since I was on the high school swim team. One of my teammates, who had more passion for the sport than anyone else I have ever met, had a disability and was an active Special Olympic athlete. Looking back all those years ago I still remember 5:45 AM practices, where I was struggling to find the energy to keep my eyes open, let alone stretch while he was cracking jokes to make us all smile. We knew all he ever wanted was to compete on a team, just like anyone else. I am sure everyone knows someone like my friend, who even though they had a disability, wanted so fervently to compete in a sport. I know that just by taking time to take the plunge or to share my friends story, I am helping athletes all across the state, and country compete in the sport that they are passionate about. It makes me so happy to work for a company that would be an event sponsor for the Special Olympics. The other day, I was reading a collection article about how another collection agency came out with a “Consumers Bill of Rights”. I have to say after reading their Bill of Rights, I wasn’t very impressed. First of all the document was 5 pages and could have been summarized much better. If we buy a debt, we will tell you that we own it. If we will contact you, we will try and resolve the debt quickly and honestly. If we can’t sue you then we will not attempt to collect from you, ei, you’re in bankruptcy. If we collect from you and you default on a payment plan, the plan may be invalid and we will l pursue other collection routes. We will safeguard all consumer information. If we can’t resolve the debt, we will tell you that were going to use litigation. I’m curious if anyone else notices what they missed in their Consumer Bill of Rights? They completely ignored what the Consumers’ rights are!. Like how the consumer has the right to requested a cease to all communication, or the right to dispute the debt. I have been working as Collection Specialist at American Profit Recovery for over four years and can count on one hand how days I have gone without getting a Consumer request for validation or dispute. Consumers have this right when it comes to dealing with debt collectors, that the debt we claim is owed be validated. Telling a Consumer what their actual rights are empowers the Consumer to resolve their debts quickly and diplomatically. Shortly, after I read the article I realized that APRs’ internally policies are designed to honor Consumer rights better than this agency’s so called ‘Consumer Bill of Rights’. I want to let our clients and their customers know that we agree, Consumers have rights and these rights will be honored. Here at APR, we take Consumer rights seriously. From the first day I started I was trained as to what Consumer Rights are. Only after I could fully understand and appreciate what Consumer Rights were did I take The ACA Collector’s Pledge. This pledge, I honor every day I come to work at APR. I believed APR owes it to both our clients and our Consumers to write a document expressing both what a Consumer should expect when they deal with APR as well as what rights have.